The Department of Defense’s directed energy efforts are too concentrated on laser weapons and should pay more attention to other approaches, such as high-power microwaves and neutral particle beam systems, according to the Pentagon’s new research chief. While lasers have been the subject of several high-profile demonstrations and deserve continued funding, other technologies also hold promise in defeating difficult targets and should undergo further development, said Michael Griffin, who took office as undersecretary of defense for research and engineering a few weeks ago. “I’m going to be very welcoming of other approaches that may not have had a lot of focus in recent years or recent decades,” Griffin said March 21 at Booz Allen Hamilton’s Directed Energy Summit. Griffin, who once worked for the Strategic Defense Initiative Organization, a precursor to today’s U.S. Missile Defense Agency, also wants to ensure that DoD considers a wide range of laser technologies and does not discard any options prematurely. “I would urge us to keep a lot of arrows in our quiver as we go forward figuring out how we’re going to translate directed energy technologies into warfighting systems that are going to defend this country and our allies,” he said. While lasers could eventually be fielded to intercept missiles in their boost phase of flight, Griffin believes there is still “a little bit of a ways to go” to achieve that. “I’m frankly more concerned about exactly how high you have to be in the atmosphere to propagate a laser beam with sufficient intensity to support a kill at a reasonable range,” he said. According to DoD’s new national defense strategy, directed energy is among several new technologies that the United States will need “to fight and win the wars of the future.” The department plans to use more prototyping to field new technologies more quickly, and “directed energy, I hope, will benefit from that,” Griffin said. Griffin also intends to look for opportunities to partner with allies on directed energy development. 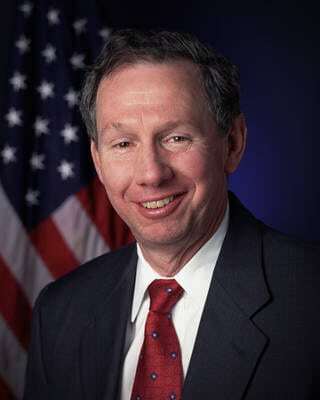 As NASA administrator from 2005 to 2009, he saw the value of such collaboration during the construction of the International Space Station.